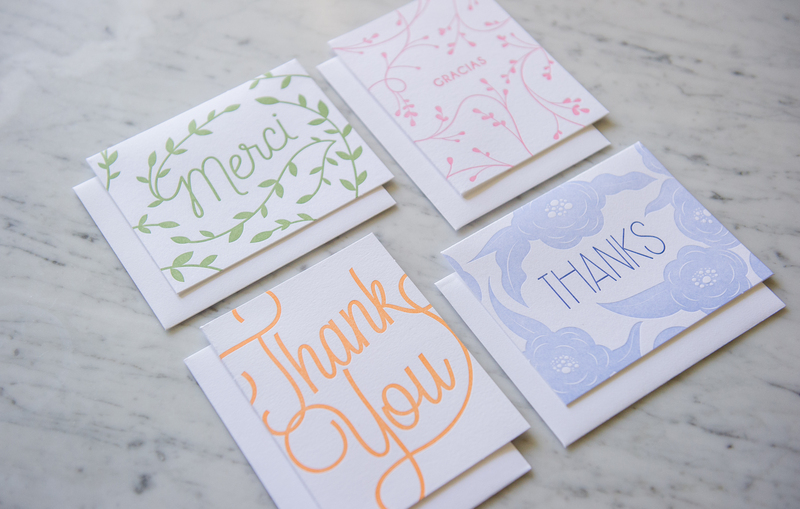 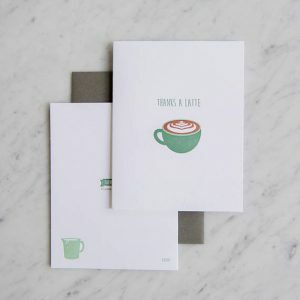 These simple yet pretty letterpress thank you cards are perfect for anyone. 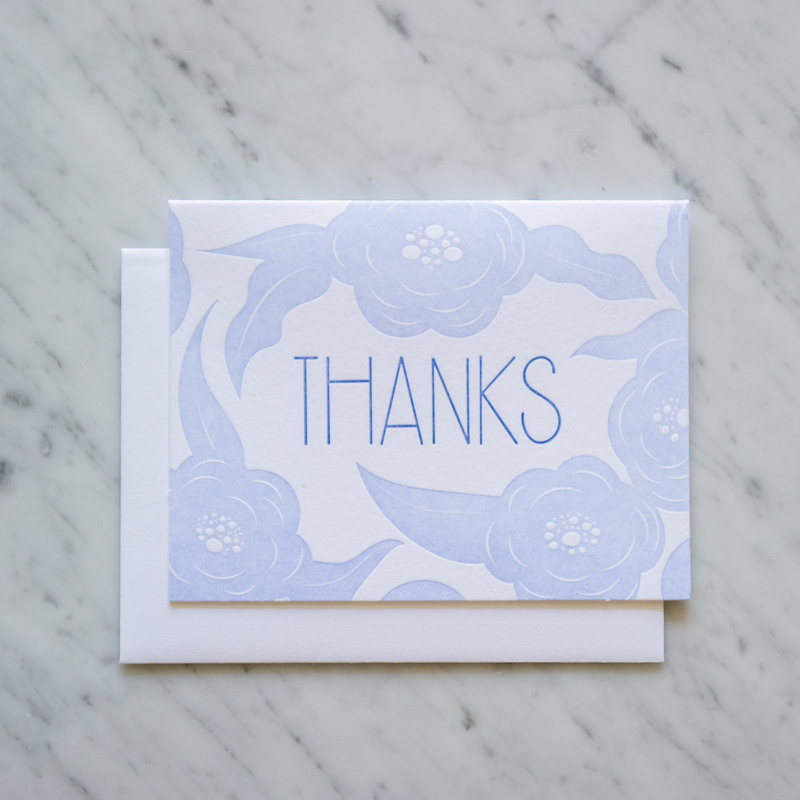 The inspiration for this floral card has the word ‘thanks’ beautifully encased. 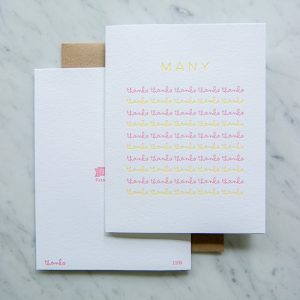 This is a letterpress card with two colors.